Last week I had the privilege of presenting a short session on Microsoft Flow to the Brisbane Azure User Group. The group meets every month, and at this particular event we decided to have an “Unconvention Night” where instead of one or two main presentations, we had several (four in this case) shorter sessions to introduce various topics. This has been a popular format with the group and one that we will keep repeating from time to time. Wrapping up the evening was my session, called Easy Desktop Integration with Microsoft Flow. 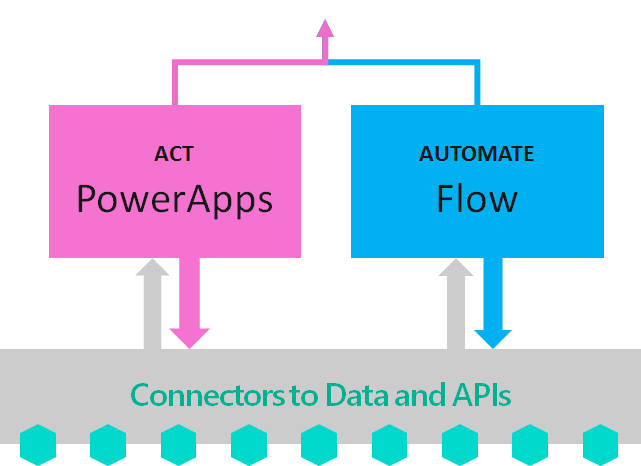 Flow is a new integration tool built into Office365; it allows business users (yes, I really mean “business users” – no code required) to build automated workflows using 35+ connectors to popular SaaS systems like DropBox, Slack, SharePoint, Twitter, Yammer, MailChimp, etc. The full list of connectors can be found here. Even better is that Flow comes with over 100 pre-built templates out of the box, so you don’t even need to construct your own workflows unless you want to do something very customised! All you need to do is select a template, configure the connectors, publish the workflow – and off it goes! In fact, it is so simple that I built my first Flow during Charles Lamanna’s presentation at the Integrate 2016 conference in London; I decided to capture all tweets with the #Integration2016 hashtag to a CSV file in DropBox. Because it is built on Logic Apps, this means you can easily migrate a Flow workflow to an Azure Logic App when it becomes mission critical, requires scalability, or begins to use more sensitive data that requires greater security and auditing. You can also download the slides (which came mostly from Charles Lamanna’s deck– used with permission of course). But most importantly, get started using Flow! I’m sure you’ll find plenty of uses for it.